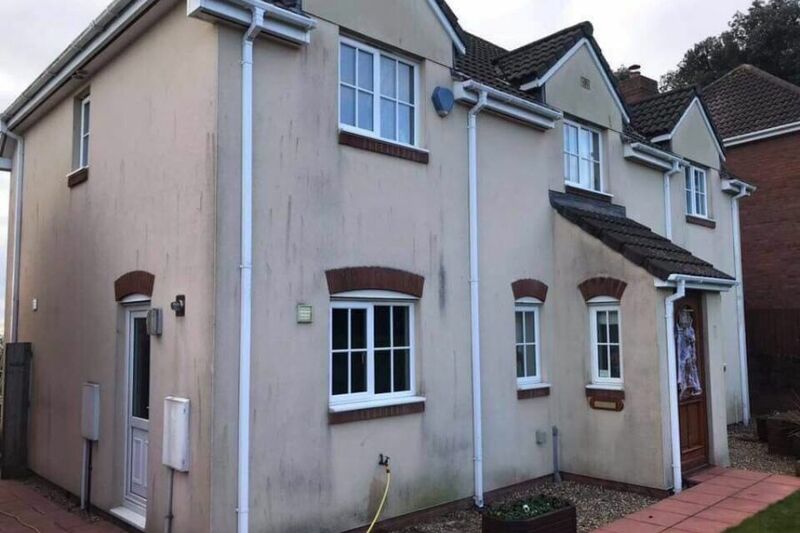 Our professional Softwashing Exeter team have been Softwashing for our residential and commercial customers for many years and have built up a wealth of Softwashing knowledge over the years. If you are looking for a highly-professional Softwashing company in Exeter or Devon, we are the company to speak to. Give us a call on either 01626 798 188 or 07938 377 547 to find out more about our Softwashing services. Residential Softwashing services in Exeter and throughout Devon. Commercial Softwashing services in Exeter and throughout Devon. We are able to clean many types of exterior hard surfaces using the Softwashing method including building render, roofs, driveways, patios and more. Using a low-pressure Softwash at high temperatures and using eco-friendly Softwash cleaning products allows us to clean your premises to a much higher standard than the traditional high-pressure washing methods. 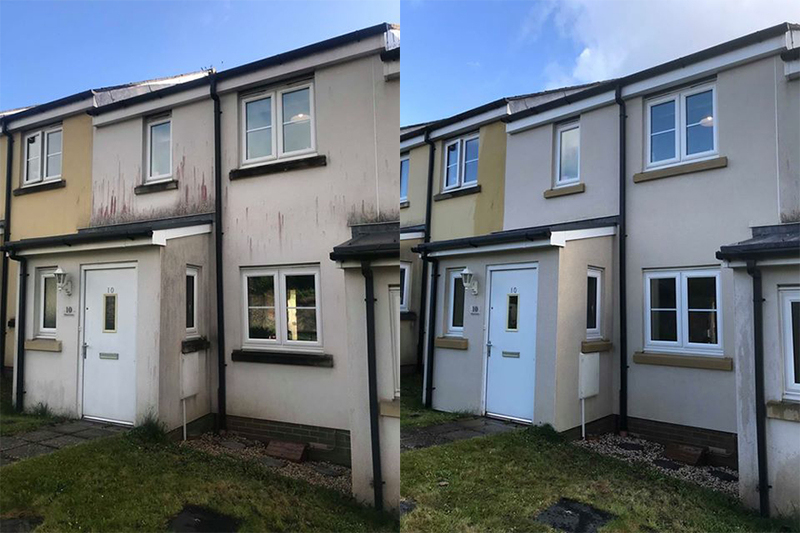 Not only are we able to clean your property to a high standard, Softwashing will clean in a much more less destructive way, making sure your building render does not get damaged in the process. Your exterior hard surfaces will also stay cleaner for longer because of the cleaning solutions we use, saving you money in the long run. 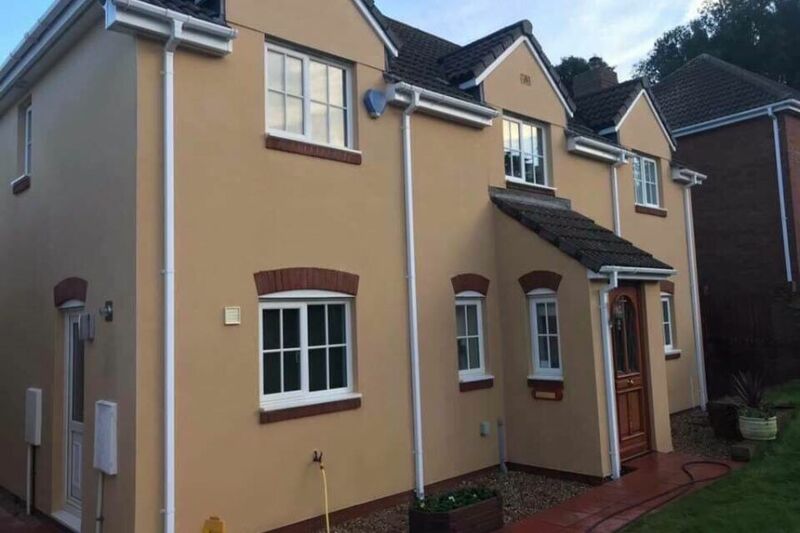 We have an extremely experienced Softwashing team working in Exeter and throughout Devon, who clean all types of exterior hard surfaces for our customers on a wide range of building and surface types. Get in touch with us today to find out more about our Softwashing service and get the best advice from one of the best Softwashing companies in Exeter and Devon.